The actor Chris Evans has shared an emotional farewell to Captain America, a character he’s been playing for nearly a decade, strongly suggesting it’s a role he won’t be reprising. Evans took to Twitter yesterday, October 4, to reveal that shooting had officially wrapped on the upcoming fourth Avengers film. 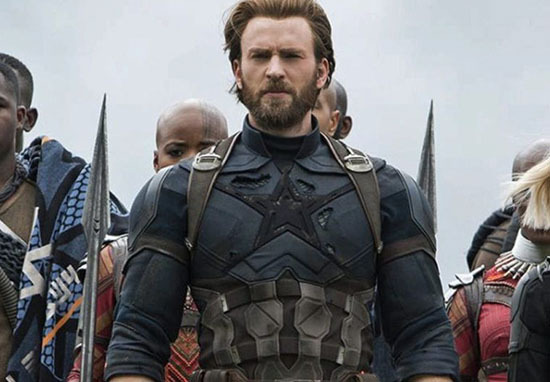 Evans first starred as the heroic Captain America in 2011’s Captain America: The First Avenger, quickly followed by 2012’s The Avengers, 2014’s Captain America: The Winter Soldier, 2015’s Avenger’s: Age of Ultron, 2016’s Captain America: Civil War, and 2018’s Avengers: Infinity War, as well as cameos in countless other Marvel films. Speaking to ET earlier this year, the actor confirmed his contract with the franchise was over, and that he’ll be sad to leave the character behind. [I’ll miss] everything [about Captain America]. I mean, it’s not just the character, it’s the people, the experience, such good movies, such wonderful memories. I’ll miss a lot. However, it seems Evans isn’t planning to take the role back any time soon either. In an interview with the New York Times, the actor remarked ‘You want to get off the train before they push you off’. I’ve stopped thinking about my trajectory, or my oeuvre, or whatever pretentious word you want to use. I’m just following whatever I feel creatively hungry for. I’m not afraid to take my foot off the gas. If someone said tomorrow, ‘You’re done, you can’t do anything else,’ I’d be OK.
Is Captain America hanging up his shield once and for all? Guess we’ll find out next year.